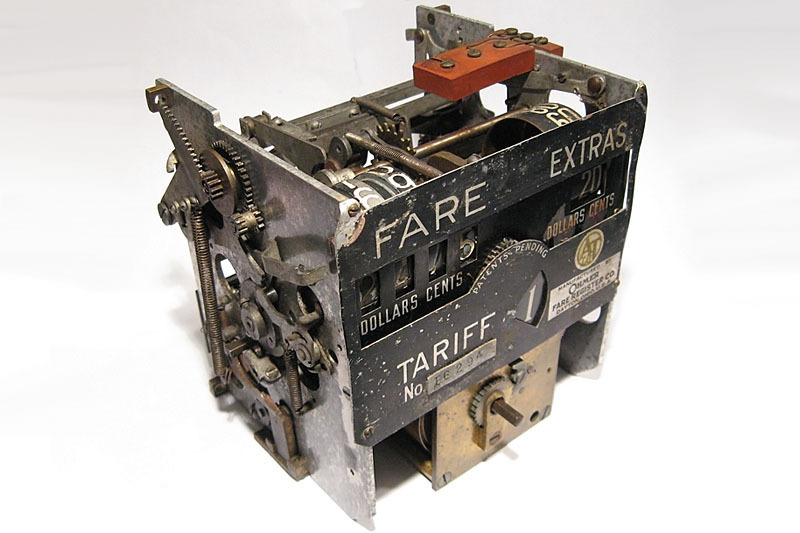 Back in the time before Uber and digital electronics, taxi drivers would make use of elaborate mechanical taximeters. These devices, which were typically mounted between the driver and passenger seat of a taxi, contained a complex mechanical integrator which would combine time and distance traveled to calculate the fare a customer would pay for a trip. 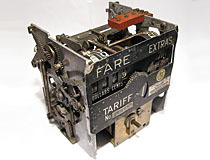 The example shown here, manufactured in the mid 1930s by the Ohmer Fare Register company of Dayton Ohio, has had it's cover removed so the internal mechanism can be seen. 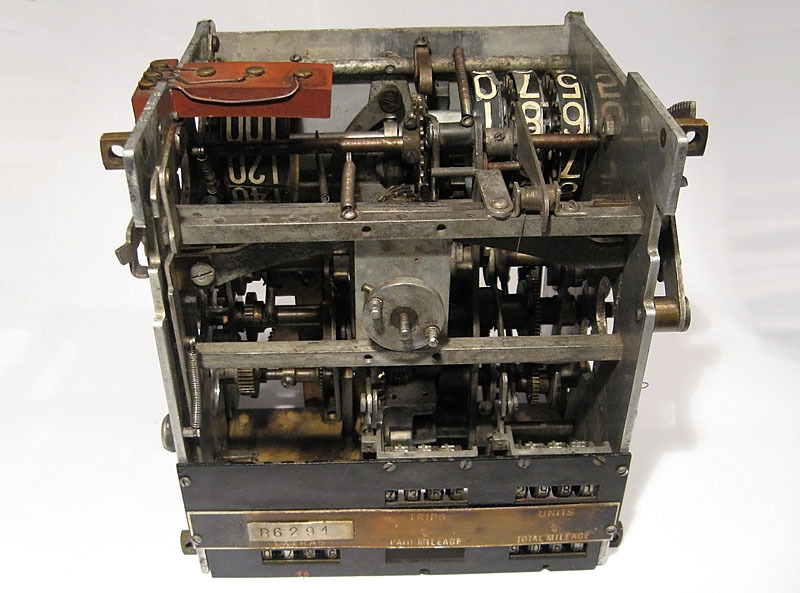 The bottom half of the machine contains a brass clock movement and a connection that linked to the taxi's odometer by means of a flexible cable. The integrated outputs from these two systems would advance a large mechanical counter on the front of the device; this would face the passenger when installed between the seats of a taxi. The inside of this fare register is a dense forest of cogs and stamped steel levers worthy of a tired Rube Goldberg comparison. The only electrical component in the entire mechanism is a single leaf switch on the side of the device. This switch closes when the driver turns off the taximeter, and would connect to a lamp on the roof of the taxi to indicate that it is 'available' to potential customers. While much less convenient than a smartphone app, such a system does have the benefit of being completely free of pop-up ads and viral internet cat videos. Ohmer Fare Register, passenger side. A series of counters on the back of the device track total miles and total fares accumulated.